For Patients & Providers - Stealth BioTherapeutics Inc.
At Stealth BioTherapeutics, our work is personal. 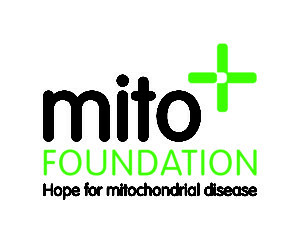 We believe strongly in the potential of our science to deliver new treatment solutions and improve quality of life for patients with diseases involving mitochondrial dysfunction. Many of the diseases we are targeting currently have no FDA-approved treatments, presenting a significant unmet medical need that we hope to help address. Our team works closely with patients and healthcare professionals to achieve our mission of developing therapies for rare and common age-related diseases involving mitochondrial dysfunction. We collaborate closely with patient advocacy to understand how these diseases impact the daily lives of patients and to better inform our clinical development efforts. We also partner with leading institutions, physicians and scientists to develop our mitochondrial therapies. In preclinical studies, elamipretide has been shown to restore mitochondrial function at the cellular level with resulting improvement in the function of organ systems such as skeletal muscle, eye, brain, heart and kidney.14-19 Our hope is that this investigational therapy will help improve the prognosis and quality of life for patients and families whose lives are touched by mitochondrial disease. Learn more about Barth Syndrome, from signs & symptoms to research & treatments. Mitochondria, often described as the “powerhouse of the cell”, are responsible for approximately 90% of energy production in human cells.